Yes. Please take your kids to the chiropractor when they are sick! 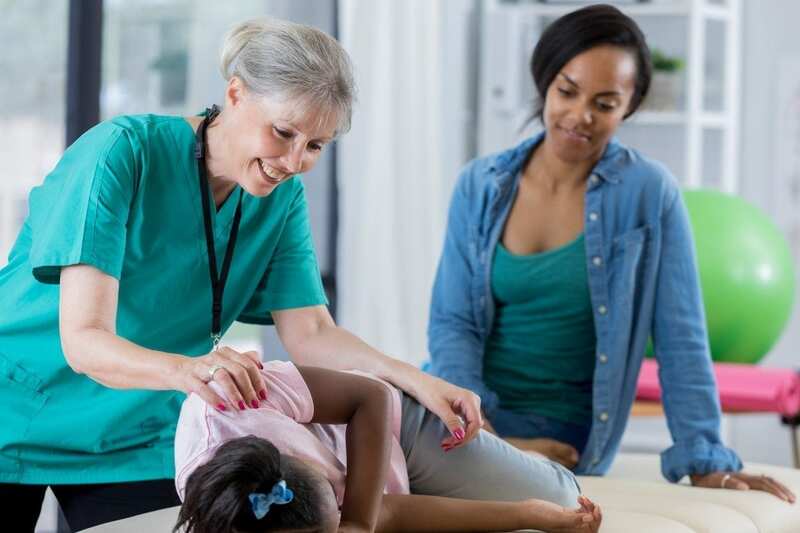 Most parents don’t think twice about rushing their child to their MD when a fever breaks or they just can’t shake that cold but have you thought about bringing your child to the chiropractor? We tend to get many calls to the office to ensure it is okay to bring their sick child in for a visit. The answer is YES, absolutely please bring them in! Just like your medical doctor, we are here to help your sick child get well. 1. Chiropractic care boosts the immune system. Chiropractic adjusts misalignments in the spine called “subluxations.” This adjustment helps to decrease interference in the nervous system, which allows the body to function to its highest potential, a.k.a. the body is better able to fight off an infection or a virus. 2. Chiropractic doesn’t do prescription medication. Medication may not be a good option for children. There are many side effects that can affect the body. Antibiotics harm the natural gut flora. When gut flora is disrupted the body is more likely to get sick because things are not balanced. This can lead to tummy problems including constipation, diarrhea, stomach aches and overgrown yeast. When the gut is not balanced, the body cannot be balanced. Tylenol can also be very dangerous to children. Since chiropractors do not prescribe, there is no reason to worry about the side effects. 3. Chiropractors know that fevers are your friend. We have been taught that fevers are bad and we need to be scared of them. And, yes, an extremely high fever is serious, but most fevers are good. It is the body’s response to illness and fevers help to fight off the infection in the body. When we try to control the fever or decrease it we are not allowing the body to do what it needs to do, and that is to kill the virus. Chiropractors are able to give tips on how to naturally support your child if they are uncomfortable due to a fever. 4. Chiropractors have a more holistic approach. When your child comes in for their initial visit we take a very thorough history that goes all the way back to when the mom was pregnant with the child. We look at how the birth went, illnesses, diet, medication history and any issues during their life. We observe their development even to the nit-picky parts of how they are turning their head, favoring one side, how they crawl, walk, their posture and more. This gives us a great idea of what may be going on with the child. When we look at the child as a whole, and not just a symptom, we are able to identify things in their life that may be causing them to get sick. We can make recommendations and modifications specifically for your child. 5. Chiropractors keep your child well. As chiropractors, we are in the wellness business. We love when our patients come in for their tune-up wellness adjustments. But we also see a quick cold or sickness as a good thing. This tests and teaches the immune system how to operate. It is actually important for the body to get sick in early years so that later on as adults the body is better able to fight off infection. Ideally, what we want is a child to get over the cold or illness quickly, within 3-5 days. If it is lingering then there may be a dysfunction in the body that we need to correct. Next time your child is sick consider bringing them to the chiropractor. Or better yet establish care now to boost their immune system to keep them healthy year round!